As the days draw nearer to the holidays, and family and friends gather together to celebrate, there are countless moments to cherish. With a broad array of features, the Galaxy Note8 camera allows you to easily and conveniently hold on to these memories in vivid detail. After all, the most wonderful time of the year calls for the most wonderful pictures to remember it by. 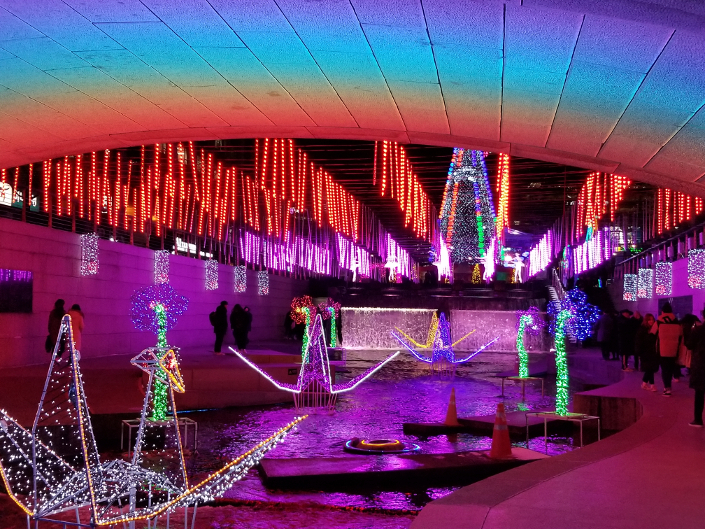 With lights, glitter and tinsel aplenty, it’s not always easy to achieve the perfect nighttime shot of the holiday decorations adorning city centers and homes. To the naked eye, the lights may shine brightly against the night sky, but in a photo, they can appear dull and undefined. The Galaxy Note8’s dual camera is equipped with a fast F1.7 wide-angle lens with Dual Pixel technology and an F2.4 telephoto lens, which together are able to quickly and accurately pinpoint the subject the user is focusing on. 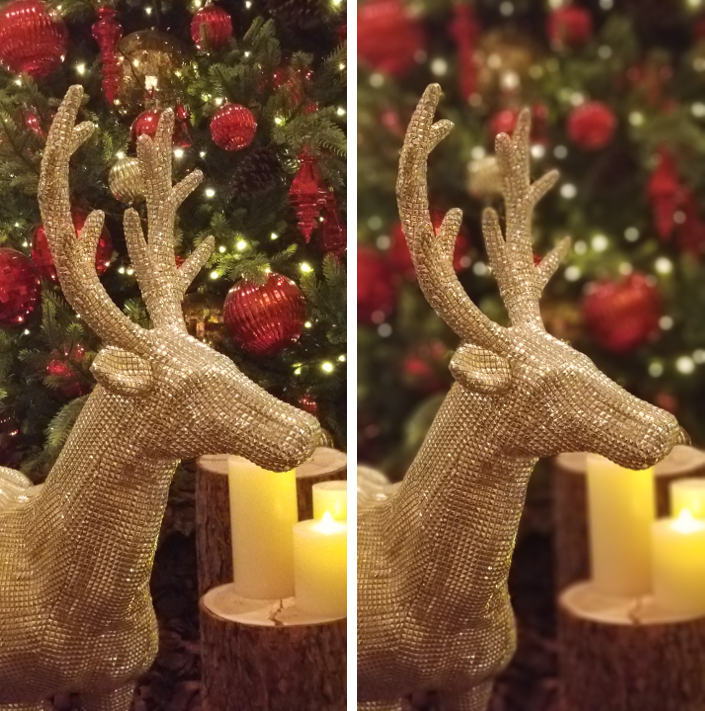 Thus, the camera can capture sharper and brighter shots even in low light environments – where holiday lights and decorations tend to look their best. What’s more, both 12MP lenses of the dual camera are outfitted with Optical Image Stabilization (OIS) which ensures crisp, focused images in all lighting conditions, even when you’re shooting with an unsteady hand (which is often the case during the frigid winter months). Whether it’s capturing the excitement for the new year or a special moment with loved ones, photos stand out in sharp relief with Live Focus. The tool creates a bokeh effect, making the subject of the photo stand out in stunning detail, while blurring its surroundings beautifully into the background. 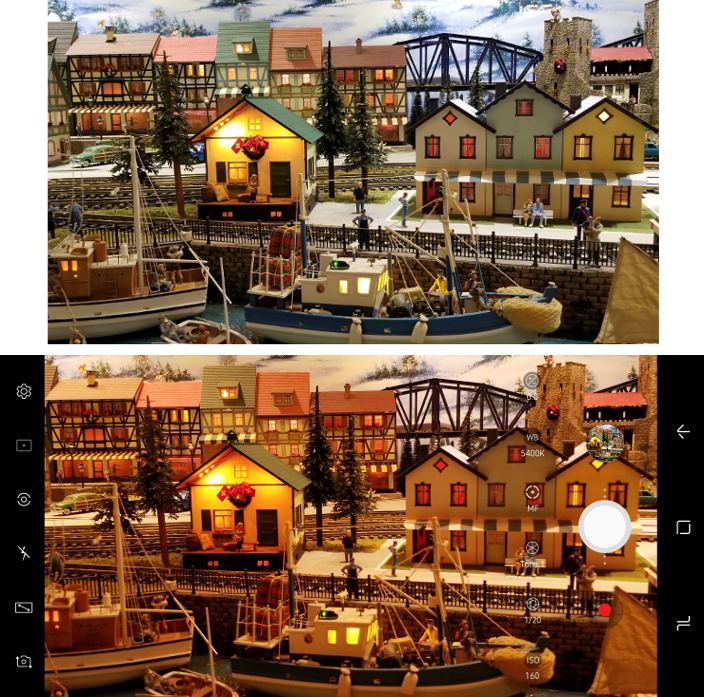 To switch on the effect, select the Live Focus option, positioned above the camera shutter button in preview mode. Make sure to stand about four feet away from the subject of the picture, and use the sliding gauge which appears above to adjust the level of the blur effect to your liking. Should you decide after taking the photo to remove the blur, or alter its intensity, you can do so in the Gallery app. In Dual Capture mode, both the phone’s rear wide-angle and telephoto lenses work simultaneously to capture two separate images. You can then access both zoomed-in and wide-angle versions of the shot from the Gallery so you don’t miss any of the magic happening outside the frame. If you plan to overindulge on seasonal eats and treats this holiday season, make sure they look as delicious as they taste. 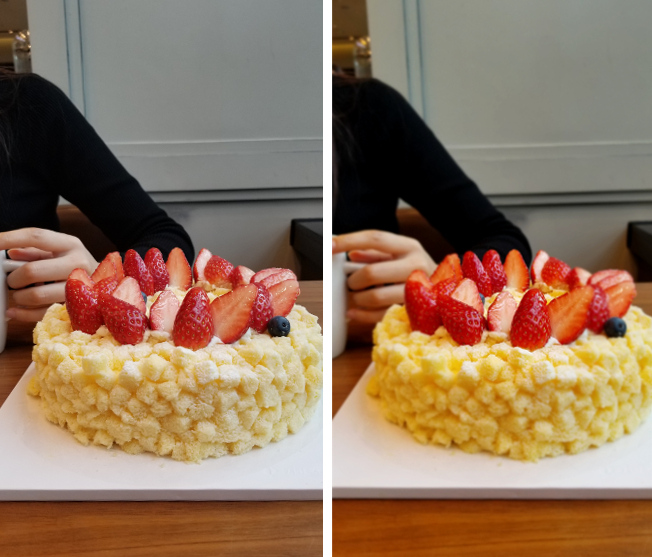 Before you bite into it, emphasize and enhance the colors of the centerpiece cake by snapping a photo of it in Food Mode. Just swipe left in preview mode to bring up a range of options and tap Food. Find the tastiest looking treat to be the focus of your photo. Then tap on the screen or drag the circle to move the highlighted area to that spot. Create even more professional-looking images with a range of adjustable features in Pro Mode. Swipe left in preview mode and tap Pro to open up the range of options: ISO, Shutter Speed, Color Tone, Manual Focus, White Balance and Exposure Compensation. With Pro Mode, there’s no need to lug around your DSLR camera on the family winter vacation; get professional-quality images with the Galaxy Note8! Looking for a way to add some warming winter spice to your pictures? Enhance your selfies with holiday-themed stickers. Simply tap STICKERS just below the preview screen and select one that best suits your shot. Alternatively, jazz up your photo using the Live Message feature. Give yourself celebratory 2018 headbands, write a holiday greeting or add a festive doodle right on your photo with the S Pen, then share it with a friend to spread instant holiday cheer. Featuring Samsung’s best-in-class dual camera, with dual OIS on both lenses, along with Live Focus, Dual Capture and Live Message features, the Galaxy Note8 is the ultimate device for taking photos that are crisp and clear, and capturing special holiday moments in the way you want to remember them for years to come. Happy holidays!